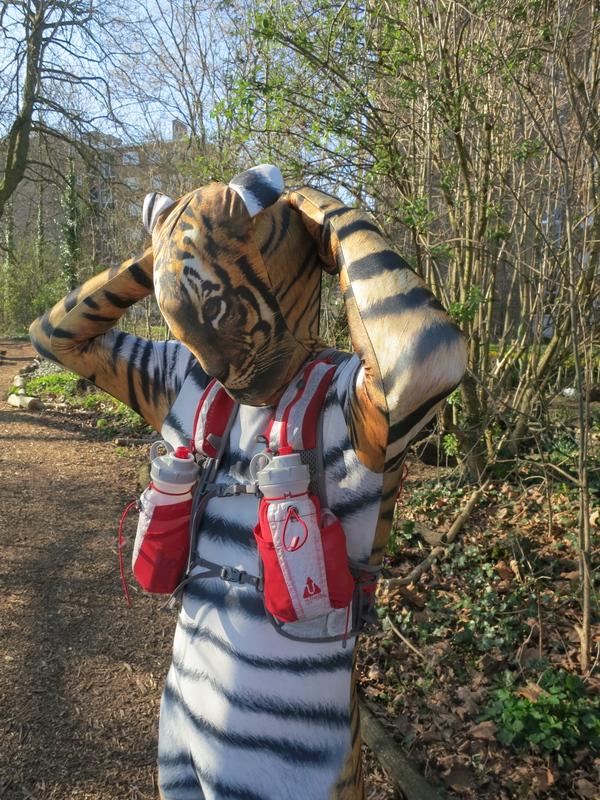 Travis was then kind enough to go to the park with us to take photos of me running in my tiger costume. Hopefully they will be useful for the publicity for my Guinness world record attempt at the fastest animal (costume) to run the marathon. Getting ready for the tiger photo shoot!